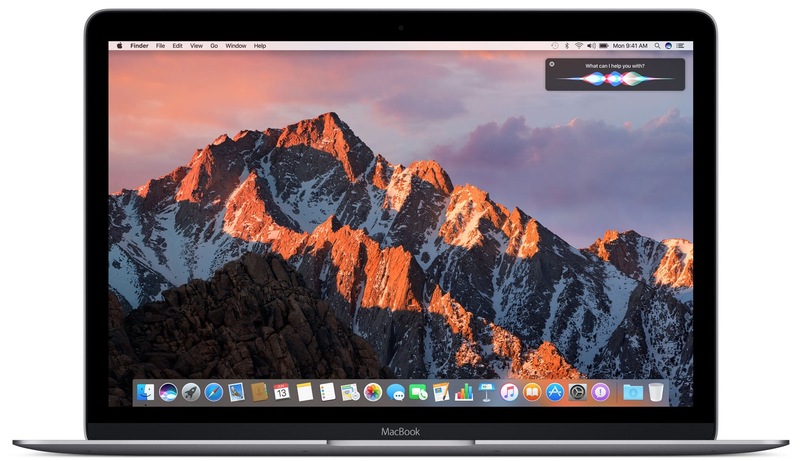 MacOS Sierra Public Beta is now available to download and install for any Mac user interested in testing the upcoming operating system. Remember that beta system software is less stable and notoriously buggy, so this experience is recommended for more advanced users or those with a secondary computer they don’t mind running beta system software on. 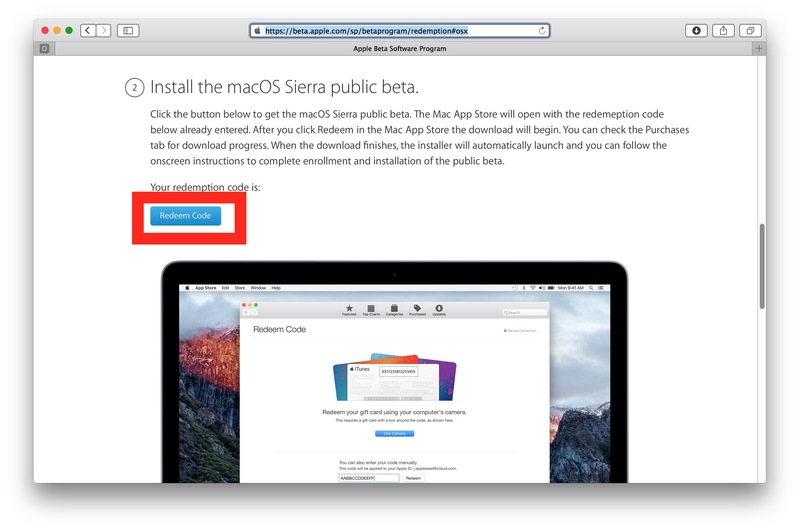 This guide will walk through how to enroll in the macOS Sierra public beta program, as well as how to download and install macOS Sierra 10.12 public beta onto a Mac. Be sure the Mac is compatible with MacOS Sierra, and that you make a fresh backup with Time Machine before beginning. 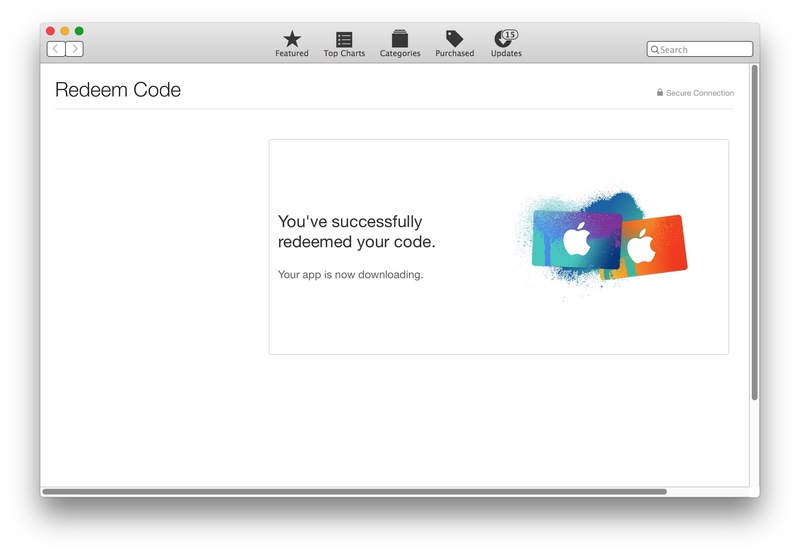 Once macOS Sierra has downloaded, the installer will launch itself. If you want to create a bootable USB installer for macOS Sierra beta, quit the installer and do that first, otherwise you would have to re-download it again. 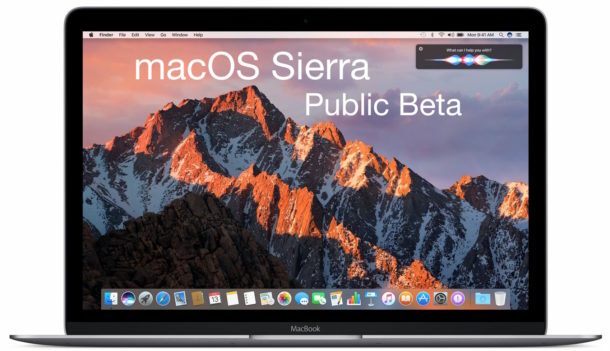 The safest way to test out beta system software on a single machine is to install macOS Sierra public on a separate partition on a Mac and dual boot, thus preserving the primary operating system. It is not recommended to update an existing Mac OS X release to a beta version, as it will be less stable than expected. Another option would be to install the public beta onto a secondary Mac. Regardless, always back up a Mac first, skipping a backup made lead to data loss or worse. 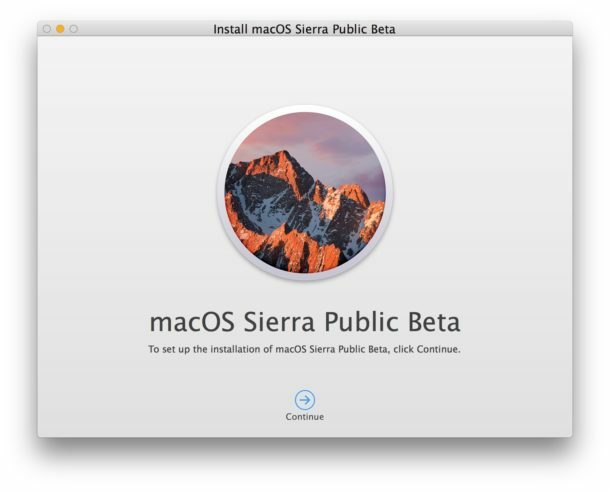 If you don’t care about making a boot installer or partitioning the drive first, you can go ahead and run the installer to install or update to macOS Sierra public beta. 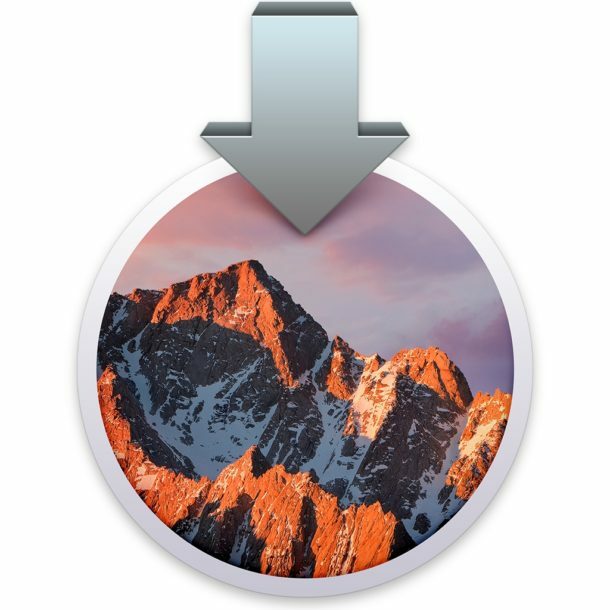 Once MacOS Sierra 10.12 has been installed, the Mac will automatically reboot and the computer will be running Mac OS X 10.12 public beta. Future public beta builds will come through the App Store “Updates” tab as usual. If you’re interested in beta software, you may also want to download and install iOS 10 public beta on iPhone or iPad too. Instructions for creating bootable USB for public Beta please. You bet, we’ll have a guide to create a bootable macOS Sierra Public beta installer in a little bit! Beta build number for public beta is same as Dev beta too. I would recommend partitioning or installing on a separate drive, it’s not a good idea to install beta system software over an existing primary OS. Especially if things are going haywire on the initial attempt! I’ve got Sierra public beta on my 3 year old iMac and the iOS10 on my iPhone and iPad and I’m impressed with how unglitchy it is. The Apple programs and apps are solid. A few minor glitches with Adobe Creative Suite (but nothing debilitating) and my zillion-function gamer/graphics mouse needs a driver update for some functions to return (page back in Safari for one) but overall very stable and nothing that will be forgotten in the next build or two I’m sure. I have been a public member of the Beta update program for 2 years, now. I am currently on 10.11.6 refresh #5 I think. Why am I not able to download Mac OS Siera? My MBP is set for beta downloads. Has anyone started a list of software compatibility with Sierra? For example, will Aperture run under Sierra? Have searched but not found such a list. So I have installed Sierra Beta 2 now. But I can´t install programs. It keeps asking me for Admin login and password and the boxes are just blank. I have tried to login with every account that I have on my Mac, but none is working. And when I look in to Users and Groups, they are all labeled Standard now instead of Admin. Do anyone know the right catalog-URL for the MacOS Sierra Public Beta ? After version 2 I don’t get version 3 in the App Store update ! After installing the GM version, my Wi-Fi stopped working.